There is nothing like Chance. Nothing happens by Chance. Everything happens according to the Supreme will of Mai (GOD). If a man lives or dies it is not by Chance. Mother decides it be so. In ” Soldier’s Wife” there was a man who was sentenced to be hanged. Subsequently on discovery of certain facts which were unknown when the decree was passed, the order was counter mended. In order to save the man sentence to be executed his cousin rushed on horseback.Without losing even a moment or taking rest en-route he rode on breakneck speed and at last arrived just at the nick of the moment to save the life of his cousin who was sentenced to death. The man was saved not by chance. It is the design and will of Mother. If it be not so, there would have occurred delay en-route to the rider, the horse could have become lame, another horse would have not been available it would have been too late to save the man under sentence of execution. It was not by chance but by the divine will that the rider did not meet with any delay and was successful in saving his cousin from the scaffold. It is therefore wrong to attribute anything to chance. Thanks to Divine Mother to bring me to Mai’s website. 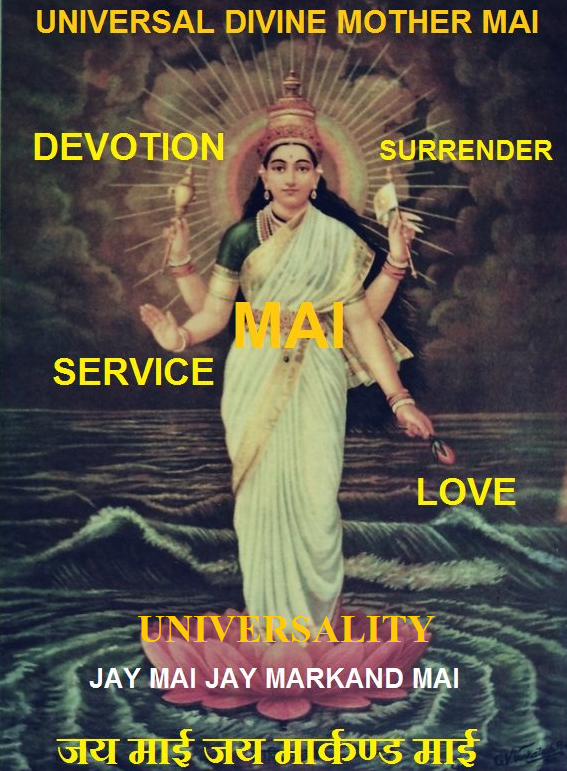 Being childlike devotee of Mai, I’m so nourished after reading through all messages by Saint Mai Swarup Mai Markand.